Is The Long Predicted Texas Blue Wave Finally Happening? Looks like we have the Texas Republican party's attention after years of running roughshod over the Texans who don't look like them or share their politics. Early voting for the March 6 Texas primary election ends this Friday, and in the 15 largest Texas counties by population (including my home county of Harris County), Democratic Party primary turnout is outpacing Republican turnout. In Harris County, in the first three days of early voting we passed the total number of Democrats who voted during the entire 2014 early voting period. Meanwhile the Republican primary early voting number are just barely over the 2014 pace. 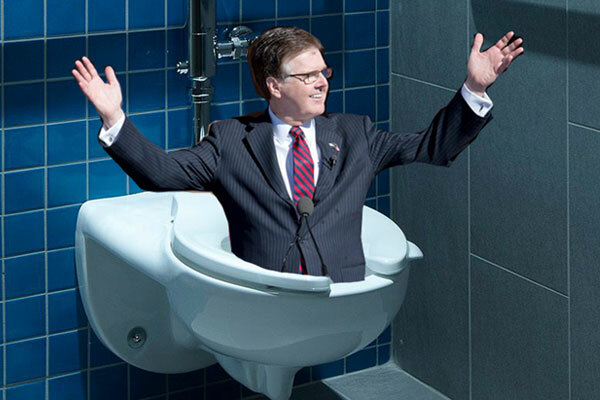 Gov Abbot sent the warning in a fundraising e-mail on Monday. The Texas Republican Party is 'scurred' right now and they need to be Texans, and especially non-white Texans and Texans who are part of marginalized groups are tired of having their human rights messed with The 2017 regular and Special Oppression Session are a major reason why we have had a record number of Texas TBLGQ people step up to run for office . The reason the Texas GOP is so concerned about this is it's not just about their own political hides. Texas is the linchpin for their control of national politics in Washington. The gerrymandering of Texas congressional districts adds an estimated 4 seats to their national US House majority. Texas' 38 electoral votes are the basis of all Republican electoral vote calculations when they run for POTUS. Texas Republicans are also keenly aware of the fact that since 2009, non white Texans outnumber white Texans population wise, which is why they passed voter ID voter suppression laws that targeted the Black and Latinx community along with young voters . While we can be happy about these developments, we still have a lot of work to do. We're still a long way from November 6. To start turning Texas back to blue, we must on the liberal progressive side be on our A+ political game and keep grinding to #FireTheTexasGOP. .
Is the long predicted Texas blue wave finally happening? I sure hope so. When a person goes missing, once you pass ten days that the person was last seen alive or heard from, the likelihood that the missing person in question is still alive drops with each passing day. So when 28 year old Zakaria Fry went missing along with 70 year old Eugene Carrell Ray back on January 18 in Albuquerque, NM., while we held out hope that both might still be alive, the missing person odds told us there was a high probability she might not be. Fry had moved to Albuquerque from Indiana several years ago according to her sister Brittany Willis, and was renting a room from Ray. Rat was a prominent attorney in the area, and Ray's family told APD that they feared that he could have been involved in a violent situation. He was last seen alive on January 18, and his home was found in disarray along with some suspicious items. Fry was reported missing a few days later. She was last heard from on that same January 18 date, with a friend receiving a text from her. Yesterday the Albuquerque Police Depart confirmed that the two bodies found by rancher Fidel Montoya in the small town of Stanley, NM on February 19 have been positively identified as Eugene Ray and our trans sister Zakaria Fry. Fry's body was found by Montoya crammed in a trash can on the edge of his property 45 miles from Albuquerque Ray's was found in a different location on a dirt road two miles away. A person of interest was recently spotted driving Ray's car and APD is looking for him. This is still an open investigation according to APD Public Information Officer Simon Drobik. They still don't know why they were killed, and haven't released any information as to how they died. Fry is the 5th trans person we have lost in 2018, and we hope that the person or persons who committed this heinous crime are caught and expeditiously brought to justice. Rest in power and peace, Z. Our friends in California have had their share of Democratic and Republican leaning actors running for public office in the Golden State. George Lloyd Murphy served as the Republican US Senator for California from 1965-1971 and basically was the person that role modeled the transition path from notable actor to a politician that Ronald Reagan and later Arnold Schwarzenegger successfully followed. Seaking of Reagan and Schwarzenegger, both have been Republican governors of California. Reagan parlayed his time as Cali's 33rd governor from 1967-1975 into two terms as the 40th president of the United States from 1981-1989. 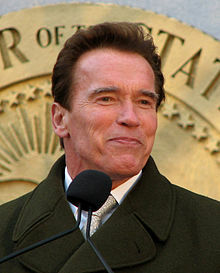 Schwarzenegger parlayed his movie career into two terms as California's 38th governor. 'The Governator' served from from 2003-2011. On the California Democratic Party side, there was Helen Gahagan Douglas, who became the third woman in US history and the first Democratic woman elected to Congress from California. She represented California's 14th Congressional District from 1945-1951. She ran for the US Senate in 1950, and was unfortunately subjected by Richard Nixon to the most vicious smear campaign in California history that ended her political career and started Nixon's until it ended in the disgrace the Watergate scandal. 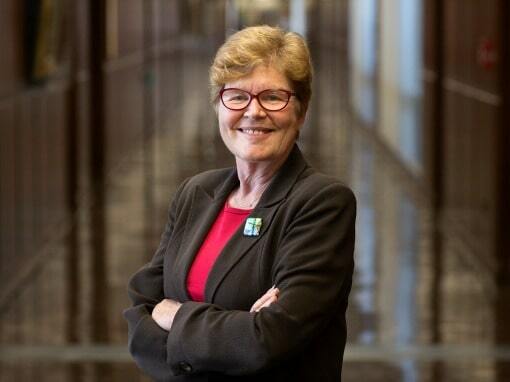 Democrat Sheila Kuehl was a child actor and attorney who later served three terms in the California State Assembly's 41st District from 1994-2000 and later in the California Senate's 23rd District from 2008-2008. 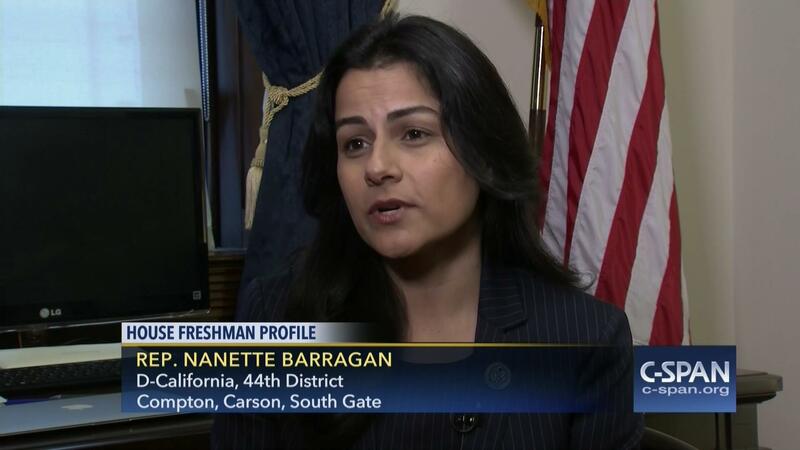 She was elected to the LA County Board of Supervisors in 2014 and is still serving her 3rd District constituents. That pattern continues today, with unabashed Trump supporter Antonio Sabato, Jr announcing last year he was going to run for Congress in 2018 as a Republican and challenge Rep. Julia Brownley (D) in the 26th District that covers southern Ventura County. Brownley has represented the district since 2013. And now we have actress and former FOX Nose pundit Stacey Dash announcing that she is going to run for the US Congress in the 44th Congressional District currently represented by freshman Democrat Nanette Barragan. 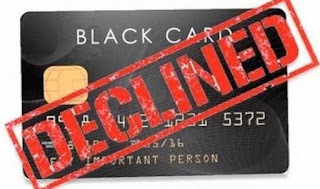 And if Stacey Dash thinks that Black folks forgot that she sold our community out while taking paychecks from FOX Noise as a political commentator, she really is clueless about the fact her Black card has been revoked and we haven't forgotten what she said about us. And naw Stacey, I haven't forgotten that foul comment you made on FOX Noise about trans women. Something about we can 'go pee in the bushes'. Naw Miss Thang, my unapologetic Black trans feminine behind doesn't pee in the bushes outside. I pee in a closed stall in the women's restroom like your transphobic behind does. When I'm done I wipe my azz, check the seat, flush and wash my hands when I'm done. And I have no doubt that Black voters in the 44th District feel the same way about her that Gabrielle Union and much of Black America does. Stacey's Black Card has been revoked for her sellout behavior. We have long memories about it when people who share our ethnic background sell us out for their own personal and economic gain. (see Omarosa). When the karmic wheel turns to put the sellout in a position where they need the Black community's help, payback is a you know what. Republicans are about to learn the lesson once again that Black folks don't vote for just ANY Black face you put on the ballot as they accused us of doing when we eagerly sent Barack H. Obama to the White House for 8 years . 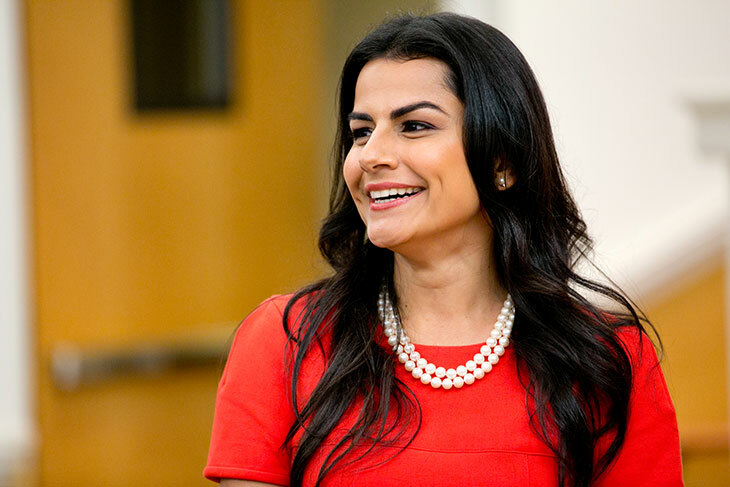 I have no doubts that the Black voters in the 44th Congressional District will not only return Congresswoman Barragan back to DC to rep them, but will eagerly be heading to the polls November 6 to say #ByeStacey and derail her attempt to 'Dash for DC'. And it's going to be fun watching that happen. . The end of the Winter Olympics in PyeongChang also means that we have gone through another Summer and Winter Olympiad since the IOC opened the doors via the 2003 Stockholm Consensus for trans athletes to compete with no trans athlete competing in either Games. . The Consensus was subsequently updated so that trans masculine and trans feminine athletes would not require genital surgery to compete in an Olympic Games. The first Olympics that trans athletes were eligible to compete was the 2004 Summer Olympics in Athens, and the first Winter Games trans athletes were eligible to compete was in Torino. 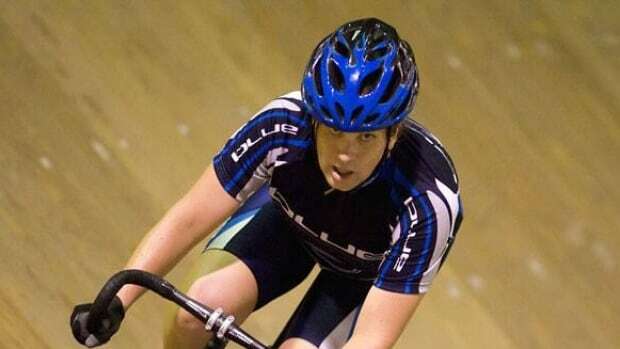 On our side of the border trans masculine Keelin Godsey delayed taking testosterone for his transition to chase his dream of qualifying for a US Olympic team. Godsey tried to qualify for those same Beijing Games, but finished seventh in the women's hammer throw with a 66.55 meter throw. Godsey missed qualifying .for Beijing and making history by an agonizing ten feet. 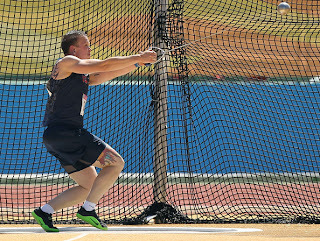 Godsey did make history by making the US 2011 Pan American Games team and competed in the hammer throw, finishing fifth with his lifetime best of 67/84 meters. He tried to qualify for the 2012 London Games. 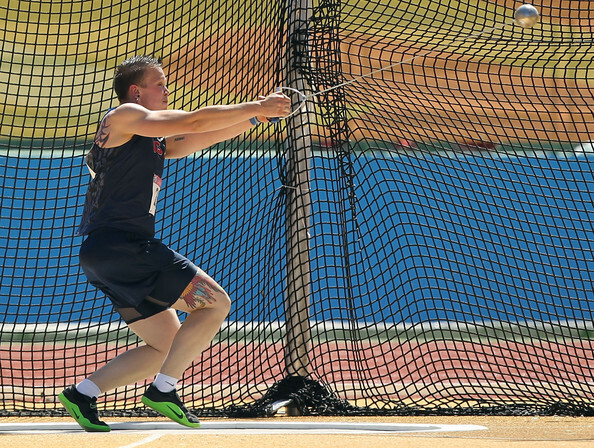 Despite making another personal best throw at the US Olympic Trials, he missed qualifying for London by an agonizing eleven inches. 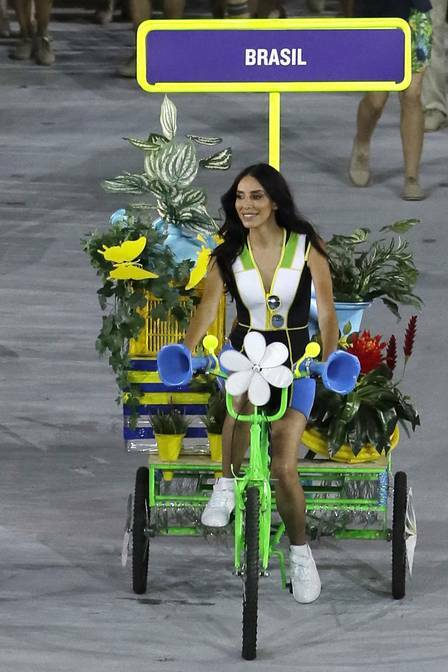 So far the only appearance of a trans person at the Olympic Games has been model Lea T breaking ground as one of the placard models for the opening ceremonies of the 2016 Rio Games. Hopefully that will change either in the next Summer games in Tokyo in 2020 or the next Winter Olympics in Beijing in 2022 and we will finally see a member of our trans family qualify as an Olympic athlete. .
"The Olympic Games are an homage to the past and an act of faith for the future. With your joint march, you have shared your faith in a peaceful future with all of us. You have show our sport builds bridges in our very fragile world. You have shown how sport builds bridges." The Olympic Games that started earlier this month with a flurry of diplomatic activity that resulted in a joint North and South Korean team marching into the Olympic stadium under a unification flag as South Korean Olympic champion figure skater Kim Yuna lit the torch ended this morning our time as we slept here in the States. In case you're wondering,Tongan cross country skier Pita Taufatofua was there at the closing ceremony in all his oiled up shirtless glory just as he was during the opening ceremony back on February 5. He finished 114th in his cross country skiing event and greeted his fellow stragglers at the finish line, but is without a doubt the worldwide fan and Olympic athlete favorite of these Winter Games and the 2016 Rio ones. 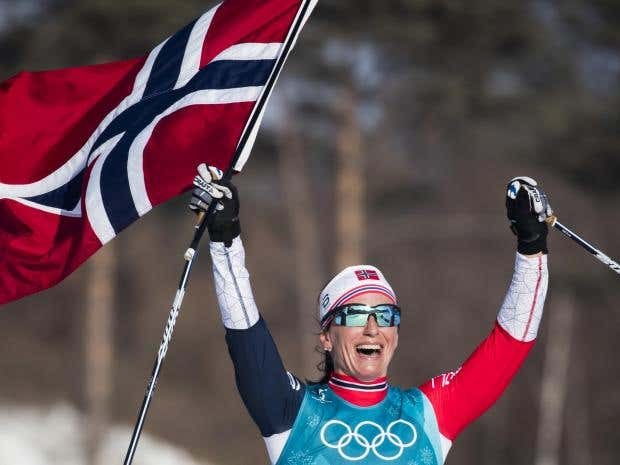 Speaking of competition, the Norwegian national anthem was undeniably the soundtrack of these PyeongChang Games. Norway led all nations with 39 total medals won (14G,14S,11B), and won a Games best 14 gold medals. The Germans finished second with 31 total medals (14G, 10S, 7B) and tied Norway with 14 gold medals. Our northern neighbors Canada were third on the medal table with 29 medals (11G, 8S, 10B) and the Netherlands after a fast start at the beginning of the Games, ended up fifth with 20 total medals (8G, 6S, 6B) tying the host South Koreans, who also ended up with 17 total medals (5G, 8S, 4B). 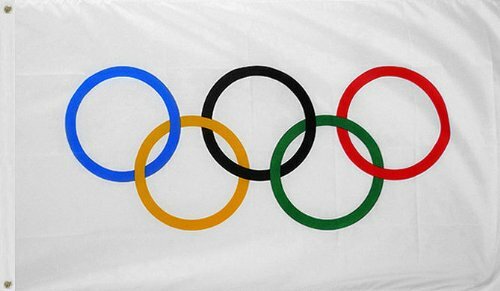 The Olympic Athletes From Russia despite the sanctions that forced it to use the Olympic flag and anthem and have the 168 athletes who did participate in these Games pass a stringent vetting process still managed to capture 17 total medals (2G, 6S, 9B) during this Olympiad, including the men's hockey gold medal. But old habits die hard. 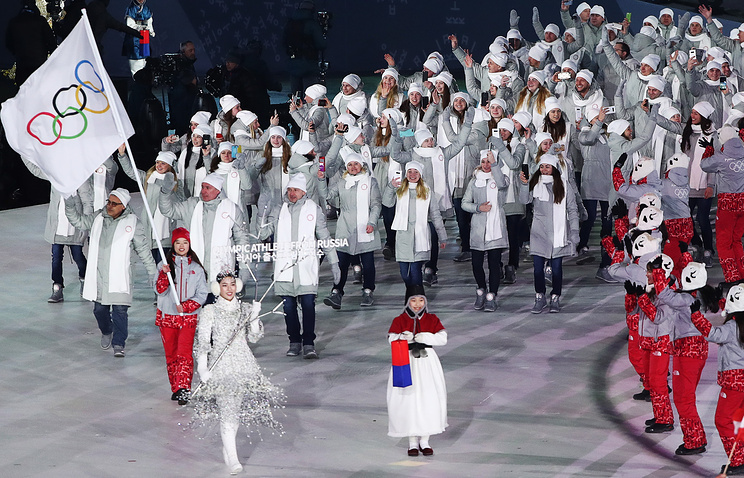 The Olympic Athletes From Russia lost the chance to have their suspension lifted and march under their own flag for the closing ceremonies when two Russian athletes tested positive for banned substances. It was shaping up to be a disappointing Winter Games for the US considering many American pre-Olympic medal favorites failed to make it to the podium or had disappointing results. Despite historic feats in their performances by Nathan Chen and Mirai Nagasu, they didn't translate to a medal in their individual skating events. They are bringing back home bronzes from the team event. Mikaela Shiffrin fell short of her goal of winning five gold medals as did Lindsey Vonn who is bringing home a bronze medal. The US did have a late run powered by the first gold medal in women's hockey in 20 years, and surprising first ever women's gold in cross country skiing and the men's curling. But these XXIII Winter Olympic Games are now headed for the history books, and while we wait for more history to be made when Beijing in four years becomes the first ever city and supplant Vancouver as the largest one to host a winter and summer games, we'll get to see in the runup to them the return of the summer Olympics to Tokyo in 2020 as part of the Asian continent's run of three consecutive Winter and Summer Games..
Bye PyeongChang. See y'all in Beijing. This week in Houston the first ever March For Black Women is taking place on Saturday at Emancipation Park from 10 AM-1 PM . And yes, I've been asked to be a speaker for it. Unlike the Houston Women's March, this one is centering Black cis and trans women, which is why I was asked to participate in it and stood in solidarity with my Black cis sisters in boycotting the Houston women's march after their concerns in the organizing runup to it were dismissed or flat out ignored. Angela Davis once said, "I AM NO LONGER ACCEPTING THE THINGS I CANNOT CHANGE. I AN CHANGING THE THINGS I CANNOT ACCEPT." In that spirit, we are calling on every Black woman in the Houston area and our allies to change a system that is no longer acceptable or viable for Black women. We strive to unite Black women from every walk of life and demographic to rise together in all our diversity, face our common oppressors, and denounce the systems and communities that deny us our civil and human rights and relegate us to political backseats. We are a power like no other when we are joined together. We have suffered the most heinous maltreatment in this country, and we are still here. Standing. Proudly. Let us gather together to celebrate one another. There is no one that understands us like us. We will celebrate the African Diaspora of womanhood in all the ways it exists. We will experience the music and poetry of sisters from different perspectives and engage in the advancement of Black lives. This event is Black woman-centered, but we welcome all allies in support of Black women. Be mindful that this is for us. So looking forward to being a part of this historic event, and I'm still working on putting the final touches on my speech. As to what I'll say, stay tuned i'll post the text of it on that March 3 date to the blog . In case you wondered what happened in the wake of his initial 110 pound division title, a group of legislators tried to pass during the 2017 legislative session a bill that would have barred him from competing because of the testosterone he was taking for transition purposes. Beggs took a low enough dose to start the masculinization process but not enough to build muscle. That bill passed the Texas Senate (what else is new?) but died in committee with the legislative grownups in the Texas House. Beggs is mulling a scholarship offer from an out of state college, and if he decides to wrestle in college, he'll get his wish to wrestle against men because the more realistic NCAA rules classify him as male.because of the testosterone treatments. 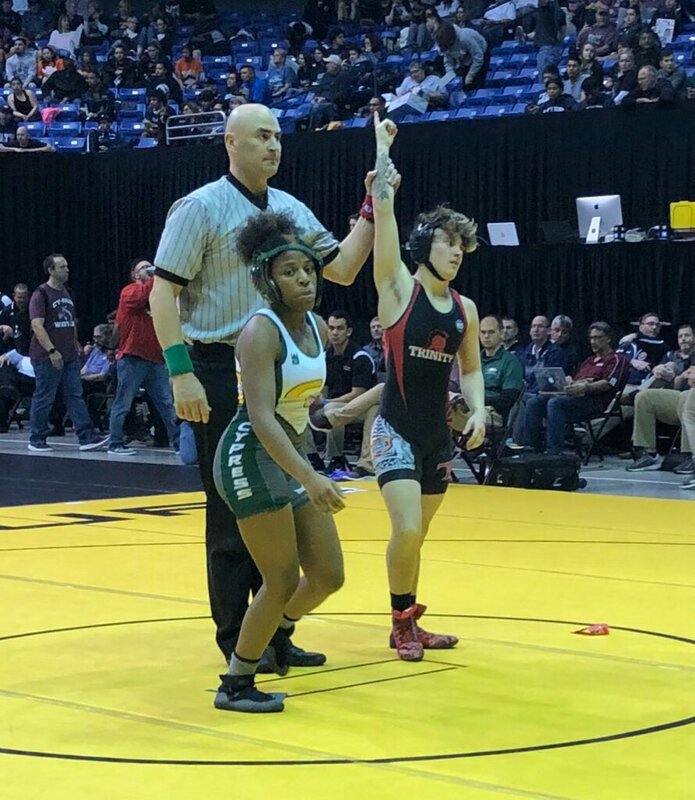 The 'Mack Attack' is back, and once again advanced to the UIL state wresting tournament being held in the northwest Houston suburb of Cypress, TX that started yesterday and concluded today. Beggs successfully defended his Class 6A title, going undefeated once again to do so with a 36-0 record. He won two matched by pinfall on Friday to advance to today's semifinal and finals. But first, he had to get past Cypress Ranch senior Kayla Fitts, who is undefeated herself at 52-0 to get to the final. He got past Fitts and earned a rematch with Chelsea Sanchez of Katy Morton Ranch, who he defeated last year to capture his first title. The championship rematch ended up with Beggs defeating Sanchez 15-3 by decision to cap the back to back title run. So hate on transphobic haters. Y'all wanna be mad and stay mad at someone, you need to direct your frustration at the UIL, not a kid simply trying to compete in the sport he loves. Congrats to Mack Beggs for putting in the work to become a two time state wrestling champ. Proud of you for handling your business despite the haters and being a class act. And note to the UIL. Beggs is not going to be the last trans athlete who wished to compete in Texas. There are trans kids matriculating rights now in Lone Star State elementary and middle schools, and it's past time y'all cleaned up the rules to let trans people play high school sports in their target gender as cisgender kids can do. .
Good luck to you Mack Attack when you move on to the collegiate ranks. 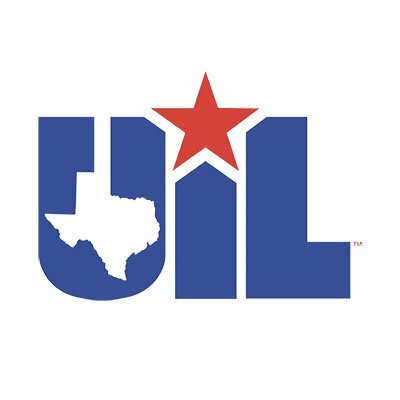 Now it's up to the UIL to do what they should have done and aling their competition rules to mirror the NCAA ones so we don't have this happening again . The 2018 Winter Olympics in PyeongChang are coming to a close and Team USA is making a late run for medals in some unexpected sports. But as the Winter Games come to a close and the hosting toch gets passed north to Beijing in 2022, the fools among us keep striving for perfection in our news cycle. They are chasing idiocy, hypocrisy and WTF level outright lying. Really? You ammaosexuals really love your guns. The gold medal goes to Sen. Marco Rubio (R-FL), who not only has had a tough week in his home state because of his A+ NRA rating,.he's coming under more intense criticism from the Marjory Stoneman Douglas students and their parents who are calling BS on his constant attempts to spin for his NRA paymasters. Naw boo boo itty, it is you who are holding 'a position well outside the mainstream because overwhelming numbers of people want sensible gun regulations.' . Marco Rubio, Shut Up Fool! 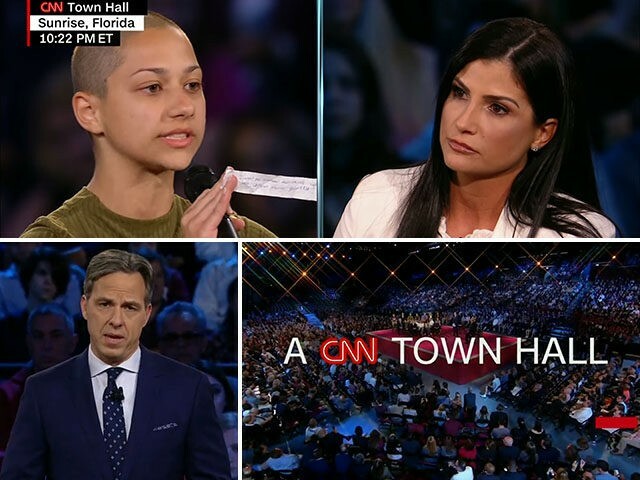 Also taking part in this conversation that was moderated by CNN's Jake Tapper was Sen Ben Nelson (D-FL), Rep Ted Deutch (D-FL) and Broward County Sheriff Scott Israel along with NRA shill spokesperson Dana Loesch . As you probably guessed, coming a mere week after the mass shooting event that killed 17 people, it was contentious at times. Down Goes Canada! USA Women (Finally! )Win Hockey Gold! The last time the USA women won a gold medal in women's hockey was during the Nagano Games in 1998. Team USA beat Canada 7-4 in the preliminary round, then beat them when it counted 3-1 for the first every medal awarded in women's hockey. Since then, as my green tea drinking north of the border homegirl has been reminding me, it has been a frustrating series of Olympic defeats for the USA women's hockey team despite successfully (and repeatedly) beating those Canadian behinds in the IIHF World Championships. 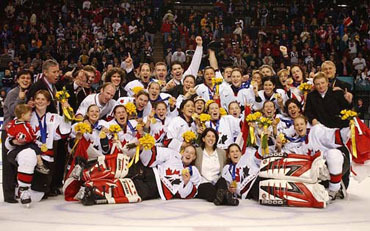 There was the 3-2 gold medal game loss to Canada on home soil in Salt Lake City in 2002. Four years later in the 2006 Turin Games Team USA didn't even make it to the gold medal game. They shockingly lost in an 3-2 OT shootout to Sweden in the semis and had to settle for the bronze medal. In 2010 the USA lost to Olympic hosts Canada in Vancouver 2-0 in the gold medal match to collect another silver medal. The 2014 Sochi Games was the most frustrating USA women's Olympic hockey loss. Team USA was up 2-0 in the third period and 3:26 from avenging those defeats until Canada scored twice to force overtime, then won it with a golden goal in overtime to win their fourth straight gold medal. That loss has fueled the Team USA fire for the last four years. As usual, they've beaten Canada in four straight IIHF world championships, with three of them happening post-Sochi, but would it finally translate to Olympic gold for Team USA? Yep it did in PyeongChang. This was the third consecutive Olympiad that the USA and Canada had met in the gold medal match and as I warned my green tea drinking homegirl, Olympic win streaks can come to an end. .Even with a 2-1 loss in the preliminary round to Canada back on February 15 Team USA was a confident bunch going into this game with their bitter rivals. Team USA struck first late in the 1st period with a Hilary Knight goal to give them a 1- 0 lead. But Canada struck back after the first intermission with two goals in the 2nd period to take a 2-1 lead into the locker room at the second intermission. It wasn't looking good for Team USA until a failed 2-1 break and botched Canadian line change resulted in a breakaway goal from Monique Lamoureux with 6:21 remaining that tied the game at 2-2 and sent it to overtime. After 20 minutes of overtime and constant pressure by Team USA on the Canadian goal resulted in no game winning golden goals for either side. it was shootout time. 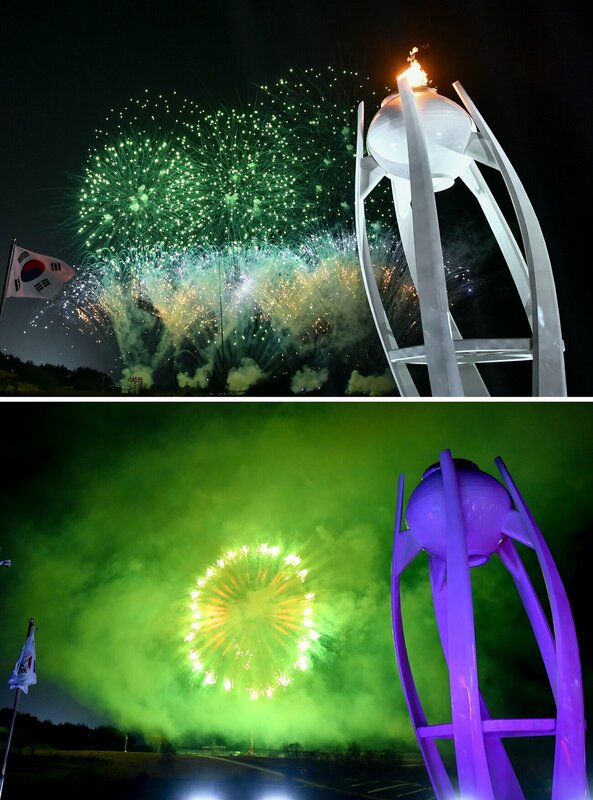 The World Champs are finally the Olympic Champs! See y'all in Beijing, Renee. Early voting has just started in the Lone Star State in advance of our March 6 primary election, and in Harris County and the other 15 largest counties in the state, first day early voting Democratic turnout is double the rate it was in 2014, while the Republican turnout numbers are slightly below 2014 numbers. There is enthusiasm in the Texas Democratic Party ranks and among liberal progressive Texans for the first time in a while. Many Republican held legislative seats that went unopposed in 2014 and 2016 have now drawn Democratic challengers. There's a competitive Democratic primary in CD 7, currently held by Rep.John Culberson (R) that drew seven quality candidates. In Harris County, (Houston) lost in the bad news of the Trump upset win was the fact we flipped the most populous county in the state blue, and are eagerly looking to continue the process in this cycle. The significance of this news is that Harris County provides 25% of the vote total in a statewide race, so if we can get turnout up here, it helps Democrats across the state. And Texas liberal progressive peeps, after observing what happened in Virginia and Alabama, are fired up and ready to demonstrate we can do the same in the Lone Star State and start flipping Texas blue or at least get it to purple status. But what that is going to take to make a Blue Texas a reality is money. 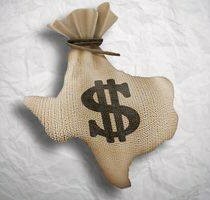 One of the things that has pissed Texas Democrats off for a long time is that Democratic candidates from the rest of the country come to Texas to fundraise and taking money out of our state to spend in other races around the country . The problem with that repetitive pattern of using Texas as a political ATM because you assume we can't win here is that it deprives Lone Star State Democratic candidates running for office the funds we need to aggressively take on and beat entrenched Republican office holders. Texas is also the linchpin of the Republican Party efforts to cling to power on a national level. It's why the Texas GOP has spent millions to voter suppress and gerrymander this state so they keep control of it. According to an AP analysis, in 2016 the Republicans picked up four additional US House seats in Texas they wouldn't have if not for the gerrymandering. 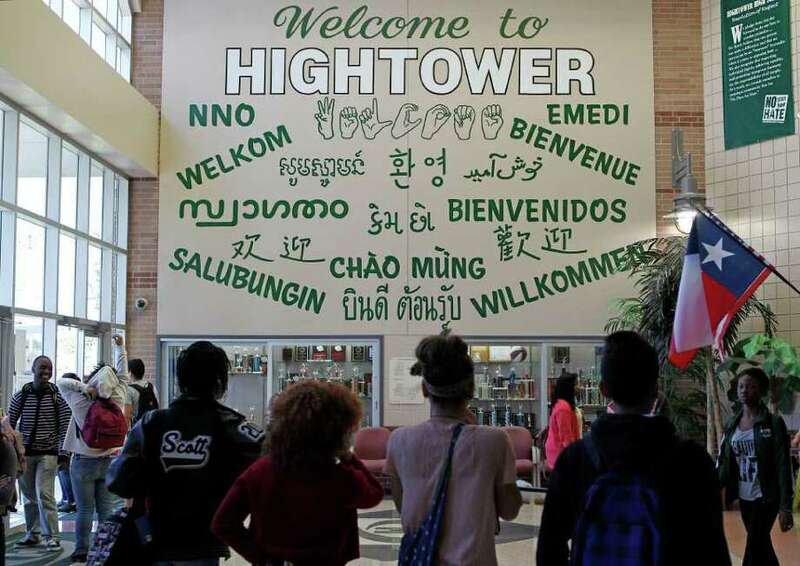 They are even more desperate to cling to power here in Texas because they know as we do that since 2009, demographics have not been on their side. 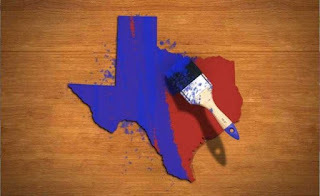 There are more non-white Texans than white Texans, and they know that if they didn't suppress or gerrymander the vote, this state would be purple or already well on it's way to becoming the political mirror image of California. If that happens, the Republicans will be hard pressed to win a presidential contest, much less keep control of the US House of Representatives because they would have to fight for Texas' 38 electoral votes instead of relying on adding the Lone Star State's EV's in their total. With the 2020 census and reapportionment looming on the horizon that will determine how the political fights of the 2020's shake out, it is incumbent upon us liberal progressive Texans in 2018 and 2020 to do what we can to cut into those Republicans margins in the Texas House and Senate despite the gerrymandered maps and put ourselves in the best possible position for that 2021 redistricting fight. We also need to have liberal progressive Texans running for statewide and countywide offices, school boards and judicial benches. It's a win win for us in Texas and for you nationally if Ted Cruz is no longer patrolling the US Senate and Beto O'Rourke is. But the critical piece in that effort to flip Texas blue is for the national Democratic Party and other national PAC's to stop treating Texas as a political ATM, fundraising, and taking that money to fund races somewhere else. We need money for our races, too. Y'all could also send more money here as well to help us flip Texas in 2018 and 2020 as well. We'll do the rest of the work necessary to make it happen. Our local HBCU Texas Southern University has produced a long list of distinguished graduates since its 1947 founding One of them is trailblazing Congresswoman Barbara Jordan. The School of Public Affairs Building on the north side of the TSU campus is named for her and another distinguished TSU alumnus in Congressman Mickey Leland. February 21 is her birthday, and in honor of it, a panel discussion organized by TSU professors Dr. Carla Brailey and Dr Kimberly Brown-Pellum on the topic of social justice is being held in the Walter McCoy Auditorium (room 114) in the Jordan-Leland School of Public Affairs Building. The special guest is Congresswoman Sheila Jackson Lee, who currently represents as we sometimes call the 18th Congressional District in H-town 'Barbara's Seat'. The other panelists will be District 146 Texas state Rep Shawn Thierry, Dr. Rockell Brown Burton of TSU's School of Communications, Algenita Scott Davis, longtime business leader and a visiting professor in TSU's School of Business , attorney Antoinette 'Toni' Jackson who is a partner in the Jones Walker LLP firm, the Honorable Fredericka Phillips, Vice Chair of the Texas Democratic Party, and Rhonda Skillern-Jones, the HISD school board president. The event is running from 7-9 PM, and with this lineup of amazing Houston women leaders, should be an interesting conversation and discussion. Hope people will check this discussion out since it is open to the public. Today is the start of early voting in Texas and the day we begin the process of turning this state blue. The early voting period runs from today until March 2, and you can go do so at the various designated early voting locations in your various counties until that date. 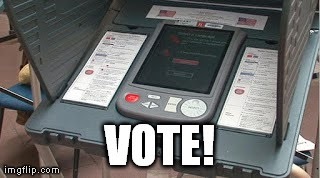 If you're wanting to do your homework to help you cast an informed vote, various political organization, unions, your local newspapers and the League of Women Voters in your locales have voter information guides tailored for your area and region. In case you're wondering, TransGriot also does endorsements, and these are the candidates that received the TransGrot clenched fist salute. You had to be registered by February 5 to be able to participate in the 2018 party primary of your choice. While it's too late for you to register to participate in the primary, it's still not too late for you to register for the general election. Bring that yellow voter registration card and approved ID to your fave early voting location to handle your business between now and March 2. Once you choose which party primary you will participate in, you are locked into that choice for the rest of the year/ So if you're thinking about as a Democrat of meddling in the Republican primary and vice versa. don't do it. It will not only prevent you from participating in your party primary runoff elections and in your party's state conventions later in the year, it can also not give you the result you're expecting..
After the early voting period closes, you'll have to go handle your election business on March 6 and at your designated precinct location. So if you want a better city, county, Texas, and nation, the road to that better government starts today at polling places across Texas. It also starts with us. So go handle your 2018 election business.